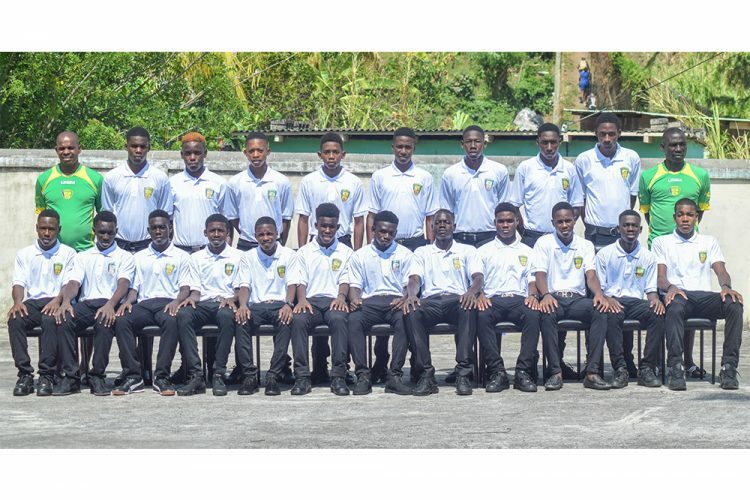 St Vincent and the Grenadines opened up group A action against the U.S. Virgin Islands on Saturday at the IMG Academy in Bradenton Florida, USA, in the CONCACAF Under-17 qualifiers. Javed Hunte’s goal in the 76th minute, earned all three points in a 1-0 win for the Vincentians, who arrived in the country mere hours before the kick-off. The other group A match played on Saturday, saw the Cayman Islands defeating Grenada two-nil. St Vincent and the Grenadines were slated to meet top seed Nicaragua, while the US Virgin Islands take on the Cayman Islands. Tomorrow, Wednesday, St Vincent and the Grenadines meet Grenada and complete the qualifiers on Friday against the Cayman Islands. Representing St Vincent and the Grenadines at the qualifiers are 20 players and seven officials. 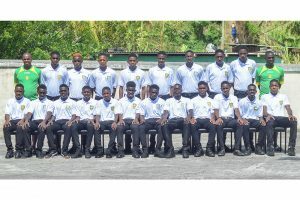 The rest of the team includes, Jamary Davis, Carl Raguette, Danny Spencer, Javed Hunte, Oryan Velox, Jahiem Kimanie, K’ranje Alexander, Iruel Matthias, Jevon Webb, Terrason Joseph, Jahva Audain, Estannie Hooper Robinson, Kosharie Lewis, Shemron Phillips, Jermaine Pompey, Tevin Thompson, Kafele Andrews, Koby Mingot and Davarno Bynoe. The squad will be accompanied by head coach Wesley Charles, assistant coach Christopher Harry, manager Yoland London, goalkeeper coach Melvin Andrews, physiotherapist Cathianna Prescod, doctor Shalen Dennie, sports psychologist Anna French and executive member Dwight Roberts. Group A is being played in tandem with group C, which is made up of Guadeloupe, Aruba, Bonaire, St Martin and the Bahamas. The winner of group A, along with the winners of Group B, C and D, will advance to the knock-out phase, which will be the round of 16. Group B and D are set for April 1 to 9. Making up group B are Dominica, Belize, Antigua and Barbuda, Montserrat and the Dominican Republic, with group D filled by Puerto Rico, St Kitts and Nevis, Martinique and Anguilla. The four qualifiers will join 12 other teams, which will emerge from group E, F, G and H, where the three top teams from each group will advance to the round of 16. Group E has Mexico, Jamaica, Bermuda and Trinidad and Tobago, with group F containing USA, Canada, Guatemala and Barbados. Making up group G are Honduras, Haiti, Guyana and El Salvador, while group H has Costa Rica, Suriname, Panama and Curacao. May 1 to 16, are the dates allocated for the round of 16.